There are plenty of valid reasons, and we’re here to help you overcome them. For whatever reason, you don’t think you’re hireable. It could be as simple as not being prepared to rejoin the workforce, or as complicated as an illness or a disability. These are all valid reasons to stay out of the workforce. However, there are opportunities that could fit your unique situation. We’re here to help. You may want to quit your job search, but what happens when you actually do? The job search isn’t easy. It’s the internet equivalent of cold calling: knocking on doors and hoping someone is interested in your product. Except the product is you. Every time you fail to get an interview or don’t make it to the next round, it can feel like a personal insult. All of that makes it tempting to quit—to stop searching for a while and dig into your savings, maybe get started on a few hobbies. If you can afford it, that’s fine! However, if the job search turns into months that turn into years, you might have a problem. Here are some other things to consider before giving up the job search. This is the most obvious reason, but we felt it warranted mentioning anyway. If you stop looking for a job, you can’t find employment or collect unemployment. You may plan on using the time to pursue other interests or hobbies. However, if you do decide to do this, plan things out far in advance. How long can you afford to live off of savings? Is this pursuit worth having a gap on your resume? Will you be able to explain that gap in future interviews? Mooching off of family members or friends isn’t a good plan, especially if you’re not looking for a job. Any time spent out of the job search is time not spent furthering your career. It might seem fun at first, but once the money runs out, what will you have to show for it? If you stop looking for work due to frustration with the process, you won’t end up applying for these jobs. The economy is close to full employment, with unemployment just under 5%. There’s always some amount of unemployment due to people switching jobs, and right now that makes up the majority of the statistic. This means there are more open jobs than candidates to fill those positions. As noted in the USA Today article, employers are willing to take on employees they can train and bring to the level needed to do the job. You don’t have to be perfect, but you do have to apply. If the traditional job search isn’t working out, consider job searching differently instead of giving up entirely. If you’re tired of spending hours filling out online applications, try spending more time networking. Join civic groups (volunteer groups) or professional organizations. But don’t start out by asking every person you meet for a job. Get to know them, and build a relationship organically. Become friends. After that, you can mention that you’re looking for a job. Try to think about the job search differently. Keep things interesting. Remember how employers are now accepting applicants with “rough edges?” Realize that being hired for jobs like that might mean taking a pay cut. You may also want to consider a change of industry or types of jobs you haven’t worked before. Look at your skills and figure out which ones are transferable. How do you keep up with the job search? Let us know in the comments below! Are Benefits Keeping Workers Unemployed? America’s unemployment rate has been too high for too long, even as the economy continues to recover. 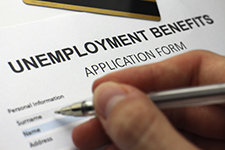 A new white paper from Express Employment Professionals explores the connection between benefit programs and their impact on employment. According to the Social Security Administration, in less than a decade, disability claims have risen by 44 percent for people formerly in the workplace. The top 10 states with the largest percentage increases between 2000 and 2012 were Texas, Utah, New Hampshire, Idaho, New Mexico, Oklahoma, Nevada, Washington, Alabama, and Wisconsin. The white paper, “A Safety Net or Trap,” showed that those who did find work while receiving welfare, unemployment, and government assistance rarely found pay that was more what they were receiving for not working. While the benefits are necessary to help those who are out of work, if the job a person can find pays the same or only slightly more than the benefits they receive—or if they don’t like the work available to them—they could choose to stay unemployed. Why work when you can receive the same amount for not working? At Express, we don’t believe this is fair. People shouldn’t be faced with such impossible choices. To read the entire white paper, visit ExpressPros.com. Does Being Unemployed Make You Unemployable? “If I’m unemployed, is it making me less employable for the jobs I’m applying for?” It’s the question facing millions of people who struggle to find work in a weak job market. One of the long-lasting impacts of the Great Recession is how many job seekers are continuing to have trouble starting over in a new job. 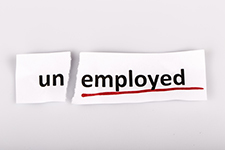 For the long-term unemployed (those out of work for more than six months), a Princeton University study found that only 11 percent found steady employment. So, does being unemployed make you less likely to get a job? When an employer is looking over a resume, they want to see not only what type of work history you have, but also what you are currently doing to improve yourself professionally. While out of work, it’s tempting to focus on applying for as many jobs as possible and getting your information to your network of friends and family to help you get an interview. But your efforts can’t stop there. If you’re unemployed, take this time to improve your current skills or learn a new one. A recent Harris Poll survey of the unemployed found that 64 percent are not planning to go back to school to make themselves more marketable to employers. Career Technical Education locations in your community often have classes you can take to keep you up-to-date in your field, but can also provide you with the opportunity to learn a different skill or trade. When employers are struggling to find qualified workers in the industrial, health care, and IT fields, this may be the perfect time for you to learn a new skill set. Most programs can be completed in two years or less, and tuition is much more affordable than a traditional four year degree from a university. Going back to school is great way to fill in the gap in your resume, but if that isn’t an option, consider taking a part-time job to add to your resume. This will demonstrate your work ethic and show employer you’re ready for an opportunity to continue your career. And if part-time work isn’t an option, consider volunteering in a way that uses your skills. Whether your background is in administrative work, human resources, accounting, or another field, you have something to offer to a non-profit or charity. Most of these organizations are often under-staffed and depend on volunteers with expertise in different areas to come in and do some work for them for free. When a potential employer looks through the stack of resumes and sees that you’ve spent time serving others in the community using your skills and expertise, you will stand out and have a leg up on the competition. In a few places, it is illegal for an employer to discriminate against job seekers based on their employment status. But for the most part, there is no legal protection from your unemployment having an impact on the hiring process, and that means you may run into this problem. So what can you do? If you think an employer won’t hire you because you’ve been out of work, it’s a tough situation to deal with. But when you turn your focus from the gap in your work history on your resume, to the people you know, your job search could be revitalized. Build your network of contacts. Reach out to family and friends to introduce you to people who could have an impact on your job hunt. Help a potential employer get to know you as great candidate and not another resume in the stack sitting on their desk. If you’ve done all you can to improve yourself since becoming unemployed, it’s likely you won’t stay out of work for long. The Harris Poll survey of the unemployed also found that 91 percent of the unemployed are hopeful they will find a job they really want in the next six months. Hard work during this time in your life will set you up for success in your future career and make this an experience you look back on with pride as you overcame obstacles that wanted to keep you down. How do you make sure you’re still employable if you’re unemployed? Share with us in the comments section below. In these current economic times, it seems that everyone is looking for new ways to make a little extra money and save what they already have. Does this sound like you? Having money in the bank for an emergency is important, but having money stashed away in case of a layoff is equally important. With bills to pay and things you want to buy, saving might be something you tend to push to the back burner. Or maybe you don’t know where to start when it comes to saving and you just feel overwhelmed. But, there is good news! Saving doesn’t have to be difficult or a burden. To help you develop or re-develop your own savings plan, here are 12 easy tips you can start using today to help build your emergency fund and feel good about your finances. Rent or borrow movies from friends instead of going out to the movies. Cook at home and take your lunch to work rather than eating out. Limit yourself to only going to the mall once a month. Limit how many purchases you make with your credit cards. Give yourself a “pocket money” limit. Put your cash and loose change in an envelope and use it only for items you want but don’t really need. When that money is gone, you will have to wait until next month’s budget to make additional purchases. Make shopping lists and stick to them. Wait 30 days before making a big dollar purchase to think it over and make sure you really need the item. Go to the library to check out books, DVDs, and CDs. Make gifts for others on birthdays, anniversaries, etc. Turn off lights and unplug electronics when you leave a room to help lower your electricity bill. Cancel expensive gym memberships if you aren’t going frequently. These are just a few examples of ways you can cut spending costs. You should also open up a savings account at your bank and deposit the money you’re saving in there. With your money in the bank, it will gain interest each month, helping you save more in a shorter amount of time. Developing and sticking to a savings plan may take a little time, but it is something that you can definitely do. Start using these tips today and see how much money you can save in one month. Happy saving! What do you think? Let us know some other tips that we can add to this savings list. We look forward to hearing from you. At the beginning of this month, we asked workers if they were looking for a second job as the summer’s seasonal employment opportunities started to open up. 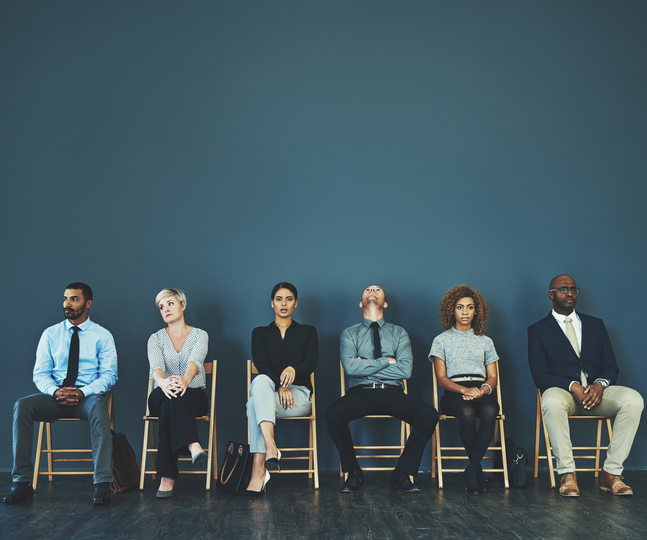 Of almost 1,600 respondents, 56% reported that they are indeed looking for a second job this summer – because they need the extra cash – up from 41% who reported looking for a second job to generate more income when we asked the question last November. As economists continue to predict that the recession is nearing its end, these results reflect that financially, workers are still feeling the financial strain of the economy. This poll also offers an interesting insight on the current unemployment situation. In this month’s poll, 24% of respondents said they are unemployed and looking for a position, down from 27% in the November poll. 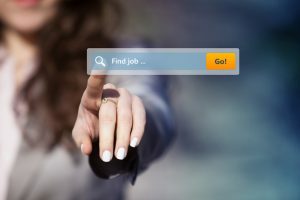 When asked, “Are you looking for a second job?” 1,595 readers responded, and 56.7% said they were looking for a second job to generate more income, 9.1% said they wanted a second job to get their foot in the door at a new company, 6% said they don’t have time to work a second job, 3.5% said they didn’t need a second job because their finances were okay, and 24% said they are unemployed and currently looking for a position. Have you found a second job this summer? Is it worth the stress of managing a hectic schedule? Share your thoughts and comments on working a second job in the comments section.